Although Bellboy Ed Martin (Hotelboy Ed Martin) is considered a minor film in the DEFA catalog, there is no other DEFA film with quite as interesting a back story. It stretches from the great depression to the McCarthy era, with all sorts of intrigue and tragedy along the way. It comes with a script that helped plant the seeds of film noir, and is an excellent chronicle of an important American play that is nearly forgotten today. It’s a long and complicated story, but it deserves telling, and if I don’t tell it, who will? Bellboy Ed Martin tells the story of a bellhop at an upscale hotel who has the misfortune of being on the scene when a gangster is shot and killed by one of his rivals. The dead man, it turns out, was carrying incriminating evidence against leading figures in the city government. In an attempt to save their skins, these men frame the bellhop for the murder, then try to cover their tracks when that plan goes south, concocting an even more evil solution to their problems. The film is based on Merry-Go-Round, a play by Albert Maltz and George Sklar. Maltz and Sklar wrote the play while attending the drama school at Yale. Both men were communists and helped organize the Theater Union in New York City. Both men were talented writers with several plays and stories to their names. Maltz in particular had a special knack for portraying the injustices in the world in both his plays and his short stories. The play opened in April 1932 at the Provincetown Playhouse on Broadway. It played there a few weeks before moving to the Avon Theatre, which was immediately shut down by the License Commisioner James F. Geraghty—a move seen as primarily a political tactic to prevent it from opening. After some hue and cry, and pressure from the press, the commissioner changed his tune and the play was allowed to open. The ensuing publicity surely didn’t hurt the box office. A few months later, the play was made into a movie. The title was changed to Afraid to Talk to avoid confusion with another film titled Merry Go Round. On stage, the beleaguered bellhop Ed Martin was played by Elisha Cook Jr., well known to film noir fans for his roles in The Maltese Falcon, Phantom Lady, The Big Sleep, and many, many others. At this point though, Cook had no Hollywood credentials, and the part was given to the considerably more handsome (and less interesting) Eric Linden. Actually, most of the Broadway cast was replaced, except for Ian McClaren, who had been singled out by the New York Times play reviewer for his lousy performance. On the plus side, Edward Arnold was enlisted to play the evil Jig Skelli (Zelli in the original play), and he is sensational. The play is an uncompromising attack on government corruption in America, showing the futility of fighting against a system that rewards evil. There was no way Hollywood was ever going to present such a depressing concept to the hoi polloi, so the ending was rejiggered to allow for a happier outcome, while still retaining just a hint of the cynicism found in the original play. Afraid to Talk was was shot by the Karl Freund, one of the all-time great cinematographers. That same year, Freund would also step out from behind the camera and direct The Mummy. The director of Afraid to Talk was Edward L. Cahn, a talented director who treated directing as a job rather than an art. Cahn would go on to fame in the fifties for his ability to churn out dozens of horror and science fiction quickies for drive-in fodder. Among these films were the now classic B movies, Creature with the Atom Brain (immortalized by Roky Erickson in a song of the same name), It the Terror from Beyond Space (largely credited as the inspiration for Alien), and Invisible Invaders (reportedly the inpiration for George Romero’s Night of the Living Dead). That may sound like a slam on him, but it is not. Cahn’s directing in Afraid to Talk is lean and efficient. One of the first screenwriters they called upon was Maltz, who refused to testify and challenged the legality of the entire proceeding, calling it a travesty of justice and a rampant disregard for the first amendment. Maltz was a communist, but telling the committee this would do nothing for his career. Of course, not admitting this did nothing for it either. In the end, nine other men joined Maltz in standing up against the committee. These men became known as the “Hollywood Ten.” As a result of their courage, they were sent to prison, fined $1,000 each, and denied their chosen professions thanks to Hollywood’s blacklist. 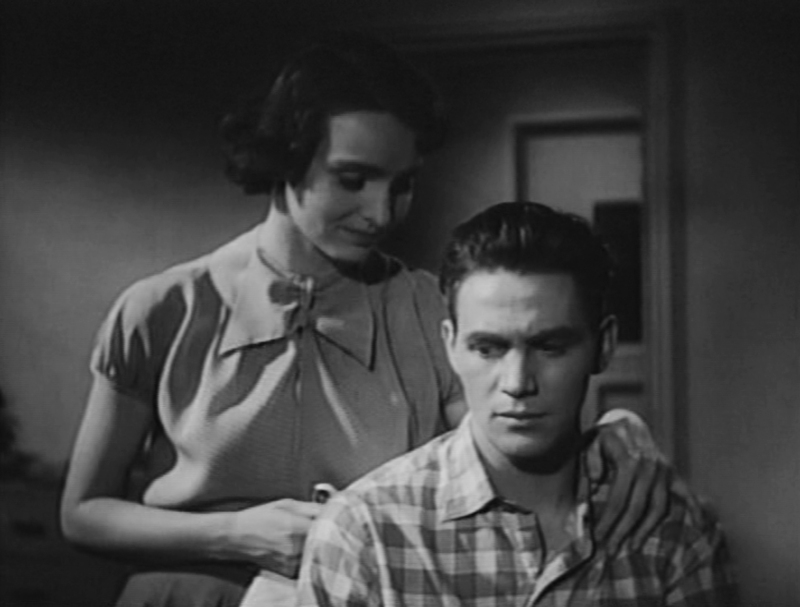 Some of them (such as Alvah Bessie), never worked in Hollywood again, while others (such as Ring Lardner, Jr.) continued to write scripts for movies, but were forced to do so under pseudonyms, submitting scripts using “fronts.” A practice chronicled in Martin Ritt’s The Front, which was based on screenwriter Walter Bernstein’s personal experiences with blacklisting. Like Bernstein, Lardner, and others, Maltz continued to write screenplays using fronts and pseudonyms. His screenplay for Delmer Davis’ Broken Arrow (using the front Michael Blankfort) was one of the first Hollywood films to treat American Indians as real human beings. He also co-wrote the script for The Robe. For both of these film, Maltz received no credit. 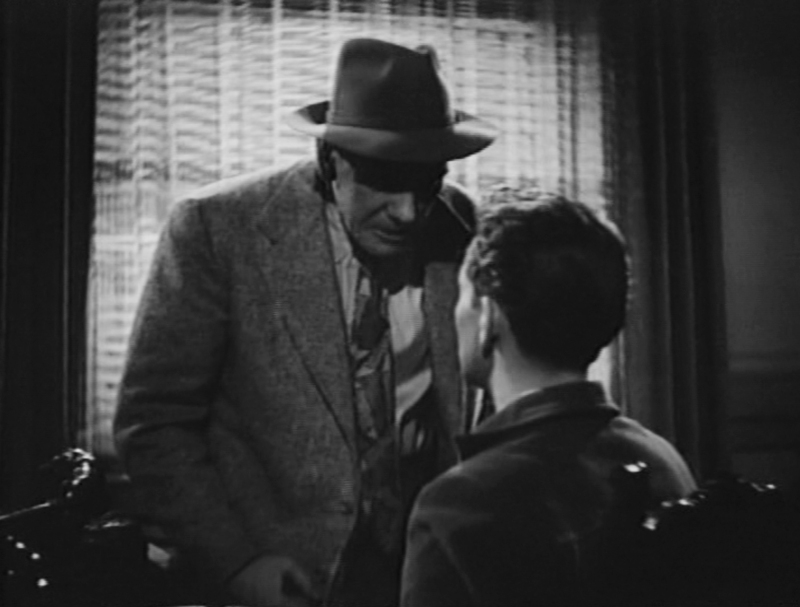 When James Cagney decided to remake This Gun for Hire as the Short Cut to Hell (a very entertaining remake, by the way), the original screenplay was attributed to W. R. Burnett alone, with no mention of Maltz. 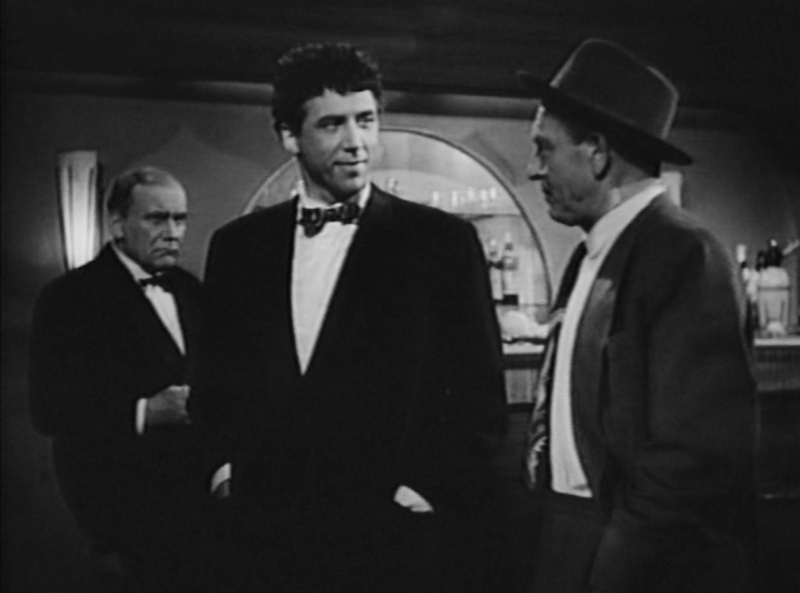 Maltz would not receive credit for another Hollywood film until 1970, when he wrote the screenplay for Don Siegel’s Two Mules for Sister Sara. He remained a vocal advocate for communism up until his death in Los Angeles in 1985. Meanwhile, in 1953, Merry Go Round was performed on stage in East Germany under the title Hotelboy Ed Martin. Somewhere along the line, George Sklar’s credit for the play was lost, so that when the film was made, only Albert Maltz is credited. Hotelboy Ed Martin stays very close to the original play. Two years later, the play was turned into a film, co-directed by Ernst Kahler and Karl-Heinz Bieber. How much each of these men contributed to the final result is hard to say, but Kahler was already familiar with the play, having directed it on stage. Primarily a stage director, Kahler nonetheless directed several feature films, shorts, and TV-movies in East Germany. He died in Berlin in 1993. Karl-Heinz Bieber, on the other hand, came from a film background, and was probably there to deal with the cinematic issues. 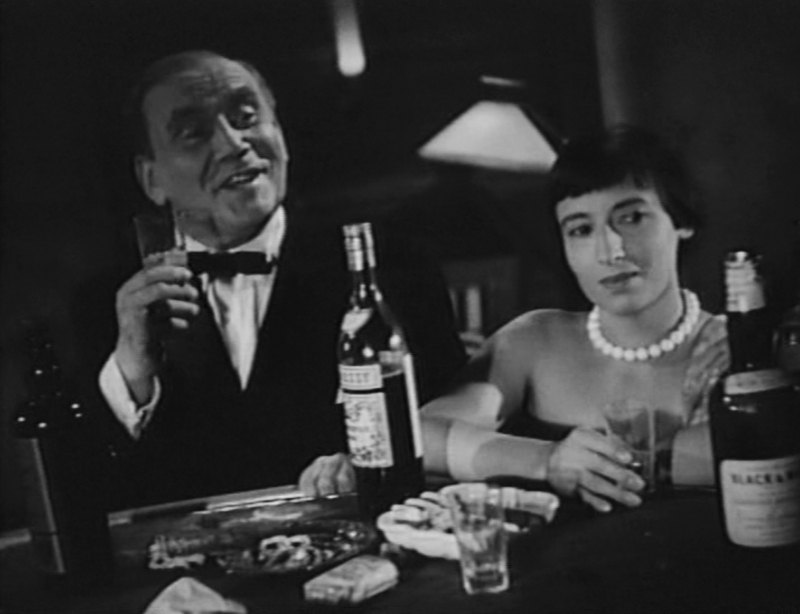 It was Karl-Heinz Bieber’s first feature film as director for DEFA; it was also his last. Bieber made three more films, all TV movies, before joining the Republikflucht. It would be another seven years before he got a chance to direct a film again, starting with the West German TV-movie, Der gelbe Pullover (The Yellow Sweater). He went on to make several more TV movies. In 1978, he moved back to feature film making with disastrous results. That film, Der Tiefstapler (a slang term for a person who understates their abilities), was such a disaster that Bieber had his name removed from the credits, letting his assistant directors take the blame for it. Critics trashed the film, calling it one of the worst German films ever made. It would be Bieber’s final effort behind the camera. At that point he switched to writing as the co-author of the Stormy series of books for children. Ed Martin is played by Ulrich Thein, one of East Germany’s best actors. Thein really needs no introduction here, having appeared in several of the films I’ve already written about (see Star-Crossed Lovers). As usual, his performance here is solid and heartbreaking. playing his wife Peggy is Katharina Matz in her first leading role. Matz would make a few more films for DEFA before moving to West Germany. Also in his first leading role was Hubert Suschka, who played the evil Jig Zelli. He also joined the Republikflucht, leaving East Germany in 1959 and continuing his career in the West. In terms of visual style and structure, Bellboy Ed Martin is not that remarkable. In most respects, it resembles a Hollywood film from the 1930s. Unlike Afraid to Talk, it makes no attempts to “open up” the play, restricting all the action to a few rooms and relying on dialog rather than action. Nonetheless, it is a powerful movie and a better chronicle of Maltz’s and Sklar’s play than the Hollywood film. It seems like a natural choice for subtitling, given the fact that almost all of the dialog started life in English. If one doesn’t understand German, one could, of course, simply watch the movie with a copy of the play in hand, but the play, it turns out, is scarcer than hen’s teeth. After extensive searching across eBay, Amazon, ABEBooks, and library web sites, I only came up with one copy, housed at the Yale Library (Sklar’s and Maltz’s old school), and it’s not for lending. It was actually easier to find copies of the Hotelboy Ed Martin script for sale (available on amazon.de). Given Maltz’s importance to the history of film, and his treatment at the the hands of the American congress, this is unfortunate. The play deserves to be better known. Happily, a collection of his short stories has been recently published in book form. Perhaps this will help raise the profile for a man whose importance to American film and theater history has been overlooked for too long. Film currently not available for sale. 1. Kazan actually went one step further, making On the Waterfront, a film that posits a situation where the union is the corrupt force, not the rich owners of the shipyards. It is a powerful film, but helped promote the idea in the minds of the public that unions were bad and that unfettered capitalism offered greater opportunities.